I’m your host Jen Veguilla- Lezan and I am back this week an interview featuring a local Chicagoan who has truly shown that you can make a career work for you, wherever you are if you have the passion and drive to pursue it. I first met Xochil Herrera Scheer in college. We both attended a Chicago based art school and were in the Fashion program there. I needed some tutoring in a pattern making class and she was the one to go to. It’s no surprise that she is now known as the Chicago pattern maker. The Fashion Industry is a tough one to break into, especially for those who were in our graduating class which was right smack in the middle of the recession. Yet, people like Xochil saw the hardships as an opportunity to grow and learn. No, she didn’t move to New York or Los Angeles- rather, she made it work in the Midwest right here in Chicago. Surprising to some, but for those of us who have worked in the industry , Chicago has quite the small, but mighty fashion industry. 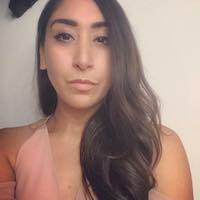 Xochil, took her first years out of college to work for others and learn, freelance where she could and over the years she realized, she was building her own brand. 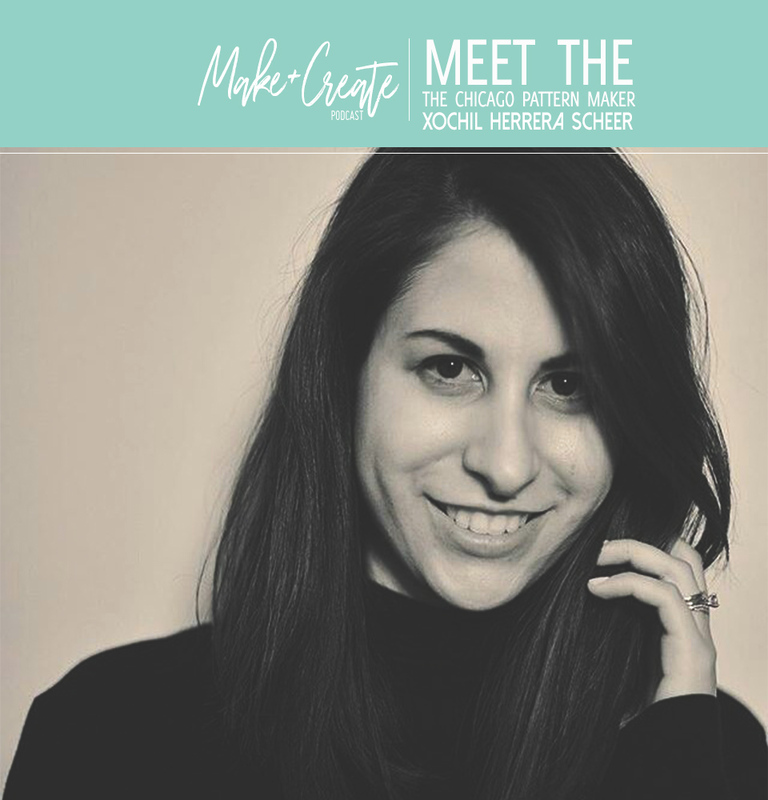 She provides professional pattern making and fashion design services to businesses and individuals in the Chicago area, and remotely to clients throughout the US. Xochil made Chicago her home in 2003, moving from her hometown of Madison, Wisconsin. She has a BFA in Fashion Design from The Illinois Institute of Art – Chicago, and graduate degree in entrepreneurship from DeVry University. 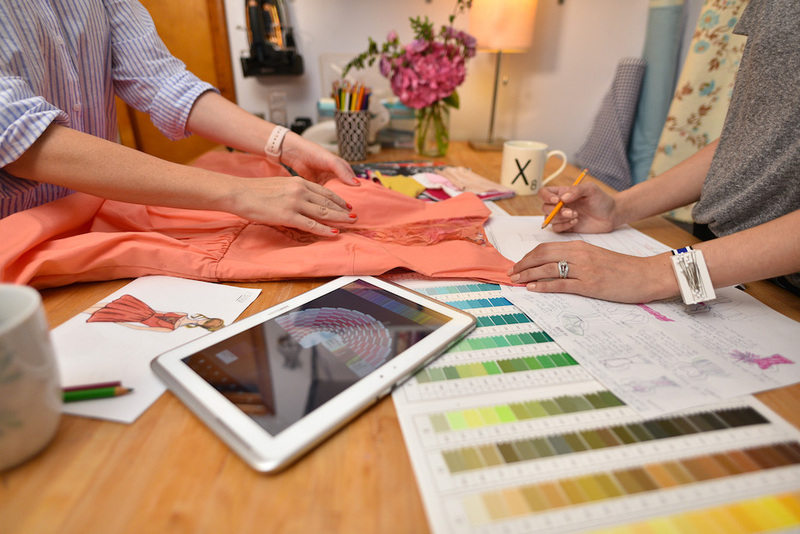 Xochil is a detail oriented, results driven task master, and enjoys the analytic side of fashion, making products come to life through strategic sourcing and technical details. She has a strong skill set in technical design, pattern making, material sourcing and production management. She has a keen understanding of the production process through working with various factories, and being closely involved with clients throughout their development. She has her hands in many of the small brand launches that have been popular in the Midwest and the fact that her small business is growing in a time where the fashion industry is shifting is a testament to her work ethic. Throughout this episode, I talk with Xochil about her journey as a small business owner and what it has been like trying to navigate the at times murky waters of the fashion industry. We also talk about the transformation that the fashion industry is going through. She explains her thoughts on fast fashion and why sustainability in manufacturing processes is so important and how she is keeping her small brand sustainable. She shares what it has been like for her as working mom and how she’s built a supportive community through networks like Fashion Group International. She’s such a motivational and hard working individual. It’s no surprise that she has seen so much success. If you are a indie creator looking for some motivation to push yourself to put your brand out there, a fashion student who wants to learn more about the industry here in Chicago or a seasoned pro who is thinking about going out on your own, then this is the episode for you. Thanks for listening to this latest episode of Make+Create. I always enjoy sharing individuals like Xochil who are truly trying to make a difference in the fashion industry. Xochil highlights how small indie manufacturers and production focused companies are helping change industry norms. They’re educating the public as well as up and coming brands on what they should be demanding from major brands that they want to hold to higher standards when it comes to their social and environmental impact. Xochil’s story also shows that dedication, a hard working mindset and never giving up – even when circumstances aren’t set up for success, that – success isn’t impossible. It just takes a bit of ingenuity a lot of pushing through and moving forward despite the obstacles. Xochil is the epitome of a millennial hustler. As I was working on this episode this week, I came across a video that shared an older comedian with a bit that focused on the lazy no good millennials. I know, I know…. I just laughed at the idea as I worked on editing this story of a millennial woman who has made a career and business work despite the obstacles she was up against. I personally thought about my story too – working a full time job and 2 part time jobs to make ends meet and then still doing things like this podcast to inspire others and it got me to thinking. Men and women who fall into the millennial age bracket often get labeled and pegged into some seriously negative stereotypes, but a majority of the people that I have met, know or encountered who are millennials are some of the hardest working individuals I know. It amazes me what Xochil and other people like her have accomplished. She has a boldness and purpose that keeps her moving forward and that is something that I think so many people deserve to be inspired by. They go against the grain, and don’t let the world’s assumptions about them, get the best of them. That brings me to my lesson learned this week. Tired strerotypes, are just that, tired and it’s up to us to continue to focus on who we want to be and model that for the generations that come after us and not take much heed in the criticisms of the generations that came before us. A reminder actually to me that we all kind of need each other, because we are afterall in this together. Finally, please take some time to leave a review for the podcast on iTunes. Rating and reviews will help the episodes to get noticed and this is another great way to show your support as I work to create a show that is empowering, inspiring and motivating to you all. That’s all I’ve for this week. Check back in two weeks for our next episode!- Til Next time, I’m your host, Jen Lezan - Thanks for listening!